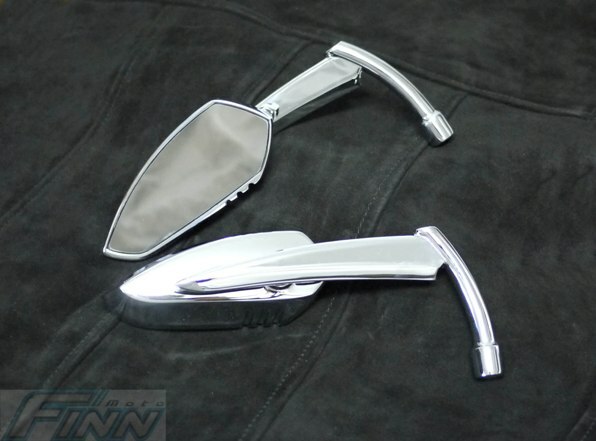 Scythe blade chromed motorcycle mirrors with adjustable mirror rambo knife head. 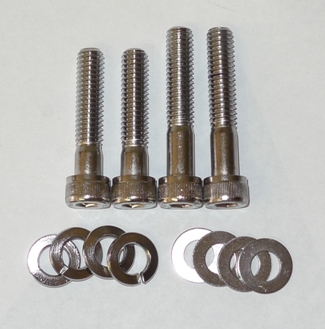 Instock with bolts to fit most cruisers Harley Davidson, Honda, Suzuki, Yamaha, Kawasaki, Triumph, Victory etc..
Great Mirrors! Look fantastic, Don't move at high speed, And get great rear view also. Purchased a set of Scythe Rambo mirrors for my Honda Valkyrie 1500. Have just returned from a 1500km trip the mirrors did not move at all, they had a clear view. The mounting bolts remained tight, great mirrors. Thankyou for such a great product, Great value for money and my Husband love them. The product and the service are outstanding.The quality of the chrome and the mirror are excellent. Price was very competitive. Would recommend these.